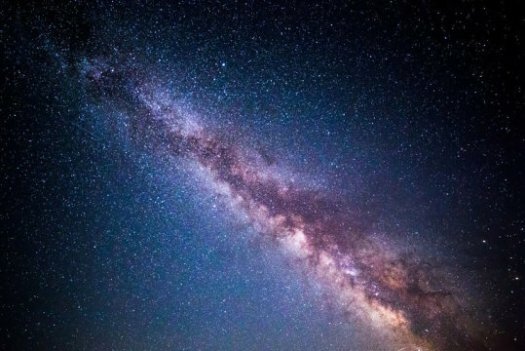 Scientists at the University of Oxford may have solved one of the biggest questions in modern physics, with a new paper unifying dark matter and dark energy into a single phenomenon: a fluid which possesses ‘negative mass’. If you were to push a negative mass, it would accelerate towards you. This astonishing new theory may also prove right a prediction that Einstein made 100 years ago. Our current, widely recognised model of the Universe, called LambdaCDM, tells us nothing about what dark matter and dark energy are like physically. We only know about them because of the gravitational effects they have on other, observable matter. The existence of negative matter had previously been ruled out as it was thought this material would become less dense as the Universe expands, which runs contrary to our observations that show dark energy does not thin out over time. However, Dr Farnes’ research applies a ‘creation tensor’, which allows for negative masses to be continuously created. It demonstrates that when more and more negative masses are continually bursting into existence, this negative mass fluid does not dilute during the expansion of the cosmos. In fact, the fluid appears to be identical to dark energy. Dr Farnes’s theory also provides the first correct predictions of the behaviour of dark matter halos. Most galaxies are rotating so rapidly they should be tearing themselves apart, which suggests that an invisible ‘halo’ of dark matter must be holding them together. The new research published today features a computer simulation of the properties of negative mass, which predicts the formation of dark matter halos just like the ones inferred by observations using modern radio telescopes. Albert Einstein provided the first hint of the dark universe exactly 100 years ago, when he discovered a parameter in his equations known as the ‘cosmological constant’, which we now know to be synonymous with dark energy. Einstein famously called the cosmological constant his ‘biggest blunder’, although modern astrophysical observations prove that it is a real phenomenon. In notes dating back to 1918, Einstein described his cosmological constant, writing that “a modification of the theory is required such that ’empty space’ takes the role of gravitating negative masses which are distributed all over the interstellar space.” It is therefore possible that Einstein himself predicted a negative-mass-filled universe. Dr Farnes says: “Previous approaches to combining dark energy and dark matter have attempted to modify Einstein’s theory of general relativity, which has turned out to be incredibly challenging. This new approach takes two old ideas that are known to be compatible with Einstein’s theory — negative masses and matter creation — and combines them together. Proof of Dr Farnes’s theory will come from tests performed with a cutting-edge radio telescope known as the Square Kilometre Array (SKA), an international endeavour to build the world’s largest telescope in which the University of Oxford is collaborating.